People know the Y for swimming, water safety and fitness, but that's just part of what we do. Learn about one family's YMCA journey to getting healthy and how it helped them get growing closer together. Learn more. Try the Y today. Download our 1-day guest pass and stop by for a day of fitness and fun! Limit 3 guest passes per year. At the heart of the YMCA lies the power to transform—both yourself and the world around you. From our exceptional fitness, personal training, sports and aquatics programs, to our extensive preschool and school-age programs, to our fun family and community events, the Y offers an array of options focused on strengthening bodies, minds and communities. 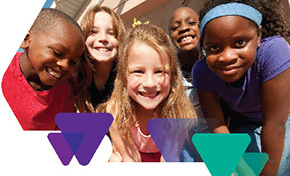 When you are involved with the Y, you help bring about lasting personal and social change. Whether you want to nurture the potential of children, improve your family’s health, or give back to your neighbors, your involvement with the Y will positively impact your community. 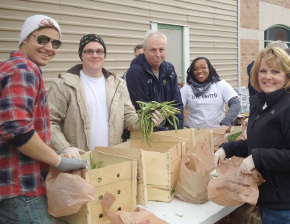 Get involved today and help us make a difference in your community. There is no other nonprofit quite like the Y. That's because, in neighborhoods across Chicagoland, we have the presence and partnerships to not just promise, but deliver, positive change. Healthy Kids Day is our annual, nationwide initiative designed to inspire all youth, parents, and caregivers to get active and make healthy choices over the summer and beyond. Because the Y engages millions of kids during summer through day camp, overnight camp, sports, and education programs, we have the unique opportunity to make a powerful and lasting impact on youth development journeys. Join us on Healthy Kids Day for fun family events and to learn how the Y can support your family! This event is FREE and open to the community. Please login here if you already have a YMCA online account. STOP! You may already have an account. All current and past YMCA participants automatically have an online account. Click here for your login instructions. If you’re new to the YMCA, you can create an online account to register for Y programs at our non-member rates. Have you visited the Y but aren't sure if you have an online account? Set up to 3 reminders, with different lead times every time this event happens. To receive email reminders, add info@ymcachicago.org to your safe senders list.